For me, this story starts on Tuesday, March 4, 1969, in Holden’s Technical Centre in Fishermen’s Bend, Australia, and finishes almost 43 years later at Holden’s Lang Lang proving ground southeast of Melbourne. In 1969, as one of 31 press invitees to a preview of Holden’s top-secret Hurricane on the eve of the Melbourne motor show, I never anticipated driving the one-off dream car. At the time, I wrote, “It is doubtful if anybody outside GMH will ever get to drive the car.” Yet, for a few brief minutes on the Lang Lang skidpad, that is exactly what I did on January 25, 2012. Today, it’s almost impossible to convey the shock and sense of awe created by the Hurricane. Nobody had seen anything like its radical dart-like profile before. 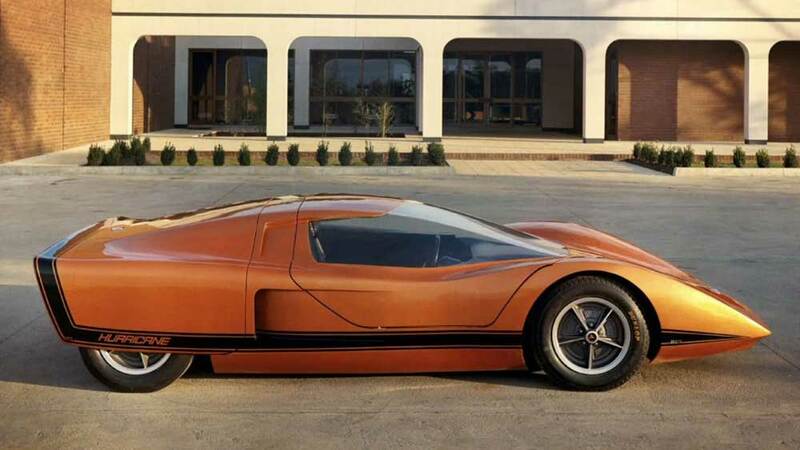 Holden itself was not yet 21 years old, but even so, its first concept car beat the comparably shaped Mercedes-Benz C111 by six months and the Lancia Stratos Zero by more than a year. So extreme was the Hurricane that nobody inside or outside Holden predicted a production future for the spaceship car that grabbed the front page of most of Australia’s newspapers. It was clear from my first sighting that there was never any intention to build the Hurricane, yet the concept did provide a window to the future. 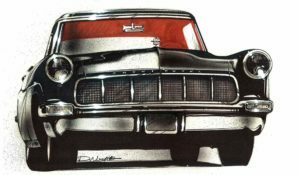 It most obviously previewed Holden’s 253-cubic-inch (4.2-liter) V-8 that arrived in the HT Kingswood and Premier a few months later and stayed in service until 1984, though the 308-cubic-inch, 5.0-liter version survived until 2000. Its science-fiction-like technology included on-board navigation, a rear-mounted camera to account for no rear window, automatic air conditioning, digital instrumentation, oil-cooled front disc brakes, tilt steering column, adjustable pedals, and, most dramatically, no doors. Instead, the designers came up with a hydraulic-opening one-piece clamshell roof canopy, to ease ingress and egress and overcome the Hurricane’s incredibly low stance. It was surely no coincidence that, at a knee-high 39.2 inches, the Hurricane managed to undercut Ford‘s GT40 Le Mans hero. 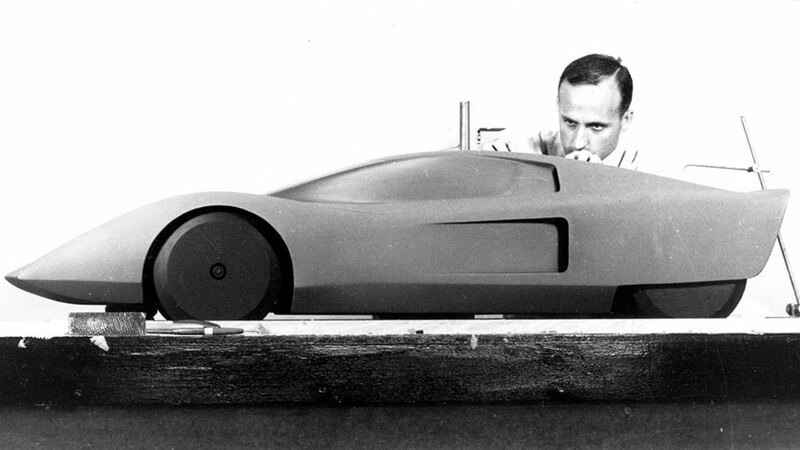 Bern Ambor, Steinhagen’s 1968 successor, was also intent on energizing the engineers beyond Holden’s staid family-car image. A scale model of what became the Hurricane (see sidebar) arrived in Australia in late 1968, the mid-engine layout apparently decided by GM’s designers in Detroit. In an era of Can-Am racers, the Ford GT40, Lamborghini Miura, and Dino 206/246, the mid-engine layout ensured cutting-edge credibility for a V-8 sports car. The Hurricane’s striking proportions (there is virtually no rear overhang) and tight dimensions (161.8 inches long, 71.0 inches wide, 96.0-inch wheelbase) mean it is race-car small. Designer Don DaHarsh developed the American scale model to full size and along with Ambor, former aeronautical engineer Ed Taylor, and body engineer Jack Hutson, the team clothed the steel spaceframe in an epoxy-resin body. The small, overhead-valve Holden V-8, mounted longitudinally ahead of the rear axle line, featured an external cam drive and solid-lifter cam and inhaled through a Quadrajet Rochester carburetor, to make 260 (gross) hp at 6000 rpm and 260 lb-ft of torque at 3800 rpm, rather more than the production engine’s 185 hp. The front suspension, fabricated by hand, was adjustable short/long arm with coil springs, while most of the rear suspension was borrowed from the C2 Corvette with the transverse leaf spring replaced by coils. GM’s American parts bin also donated the 1961-1963 Pontiac Tempest four-speed transaxle, with the bell housing adapted to the Holden block. The recirculating steering featured a slow 24:1 ratio, while the front brakes were a wet design, based on a system being used in Detroit’s public buses. The Hurricane’s exceptionally low stance meant conventional doors or even gullwings were never going to work. However, the American scale model only shows conventional door shutlines. As the one-piece hydraulic roof canopy — with its massive wrap-around Plexiglas pillarless windshield, without wipers — opens, it simultaneously electrically raises the fixed seats. Nobody knows who came up with this idea, but American designer Leo Pruneau (who went to Holden design in 1969) remembers a small, three-wheeler GM concept car from the same era that used a similar canopy. A search of GM concepts shows that XP800, in development through 1968 (though it was launched to the public as the Chevrolet Astro III Concept in 1969) used a nearly identical canopy door. From this distance, it’s impossible to know if the system was invented for Holden or Chevrolet concepts, but it probably was simultaneously developed for both. Four decades after the Hurricane’s debut, nobody was sure if the car ever ran under its own power. Some former Holden employees believed the images of the car moving at the Proving Ground were only taken at a slow shutter speed, after the car had been pushed. To the delight of those involved in saving the Hurricane, Holden made contact with DaHarsh during the restoration. 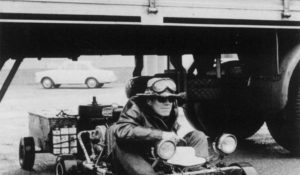 DaHarsh quickly produced his own Super 8 movie footage of the car being driven at Lang Lang. After various motor show appearances through 1969 and completion of wind-tunnel testing, the Hurricane was lent to various dealers until the windscreen cracked. It was then stuffed away in the wooden crate that was used to transport it, and stored in a Holden Service garage. Around 1985, repairs that included stripping and repainting the body were finally carried out. In 1990-’91, first-year Holden apprentices “restored” the car. From then until 2005, when Holden decided to properly rebuild it, the Hurricane was on display at the privately owned Holden National Motor Museum in Echuca, Victoria, and at the Powerhouse Museum in Sydney in an exhibition titled “Cars and Culture.” The Hurricane was twice threatened with destruction between the early 1970s and 2000. When Pruneau discovered that chief engineer George Roberts had ordered it to be “cut up,” he rescued it and deliberately hid it (in Design’s workshop) from Roberts. 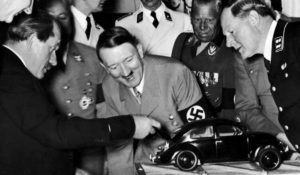 Later, it was saved from Holden apprentices who were about to scrap it because they perceived it was no longer of any use. Various GM executives played a role in the Hurricane’s revival. Ed Welburn, global head of GM design, noticed the car — it was getting a coat of primer — in early 2006 on one of his many visits to the Holden studios. 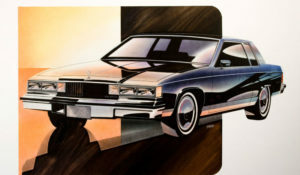 Mike Simcoe, who recently returned to Holden after six years at GM design in Detroit and is now executive director of General Motors International Operations, says Welburn’s help was crucial to getting the total restoration off the ground. The other executive who was prepared to help fund the return to perfection was Mark Reuss, then CEO of Holden, and now CEO of General Motors. In 2006, the car was turned over to Paul Clarke, manager for creative hard modeling at Holden, one of just three GM divisions capable of building concept cars. Recently retired chief engineer Rick Martin reconstructed the Hurricane from archival photographs, technical drawings, and the anecdotes of many people responsible for building the car, including designer DaHarsh, who significantly modified the scale model sent from Detroit. The car was in very poor condition, and so many parts had been pilfered over the years that the restoration was almost like starting over. The original 253 engine was missing, as were the wheel trims and arms for raising the canopy. Interior gauges, the steering wheel, the rearview camera, and even the reservoir for the oil-filled brakes were gone. 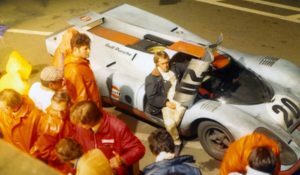 Much of the car was simply recreated without adopting modern technologies, although the body was rebuilt using a more durable polyester resin, then repainted close to the original metal-flake orange. The original seats were strengthened and retrimmed, but most of the interior parts had to be built from scratch. Clarke is justifiably proud of his team’s efforts in restoring Holden’s first concept car. Driving the Hurricane involves climbing over the sills and dropping down on to the raised seat — the canopy is so well forward that there’s a deceptive impression of space. Not so when the seat is lowered and the roof and steering wheel begin their slow descent. It’s like being gradually jammed into a compression torture chamber. With my head pressed hard against the roof and feet squished against the pedals, my contorted left leg can just engage the clutch. The car moves off, slowly. Up to second and gradually accelerating to around 30 mph, I note the leisurely yet still heavy steering. Every movement is deliberate, measured. Driving? Not in any contemporary sense — more like guiding a very rare and ancient machine, just to say I’ve done it. Even if it took 43 years. It’s great to see that the Hurricane was not destroyed and brought to life again. it has always been one of my favorite show cars. I too designed and built my first prototype with a tilt top in 1969 called the Talon GT which was built on a VW chassis. I am now restoring a later version of the Talon GT 2+2. Thanks for a good article. Thanks, Ed! It’s a car well worth saving! Thank you Peter. This a well crafted story in a very limited space. Lots a fascinating information included and personalities we should all know. It is exciting to know that the current GM leadership took the Hurricane under their respective wings and supported the effort. Great article. 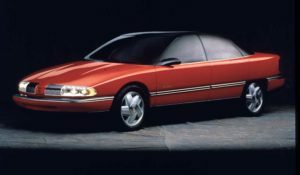 GM has always had a lot of pride in their past Concept cars and Ed Welburn continued that path. Each has its own significance in how car design has evolved. The Hurricane is one of these from a formative period. Belleza over wheels. Thanks for the article. Congratulations from Argentina. Awesome article. The Hurricane was a car I looked at when I joined the Fisher Body Craftsman Guild in ’69.. Made me think it might be possible to actually build a concept car that ran.. ah.